Get out there and enjoy yourself knowing you have the right coverage and 24/7 access to a caring team who’s always on call—no matter how big or how small the emergency. Tell us a few details to get a quote in 2 minutes or less. Coverage for the widest range of unexpected travel situations. Coverage to fill the gap left by my provincial health insurance. Coverage for non-refundable trip expenses if my trip is cancelled or interrupted. When visiting, immigrating to or studying in Canada and need emergency medical coverage. If you require assistance during your trip for a medical or other travel emergency our 24 hour travel assistance is available at 905-816-2561 (call collect from anywhere). “Never in my life have I dealt with a group of people so respectful and kind. I have been telling everyone how wonderful RBC travel is." - K.R. "Thank you for the excellent service I received on my trip." - K.W. “I would not have known what to do without AAI's* assistance.” – D.B. Travelling with a group of 10 or more? Save with a group discount and enjoy all the benefits of RBC® Travel Insurance. Have a question about travel insurance? Get the answers you need here? Who can buy travel insurance from RBC Insurance? Our goal is to make affordable travel insurance coverage available to as many Canadians as possible. In general, any Canadian resident can purchase some form of coverage with us. Factors such as where you are travelling, your health and the length of your trip may affect the specific coverage(s) available to you. 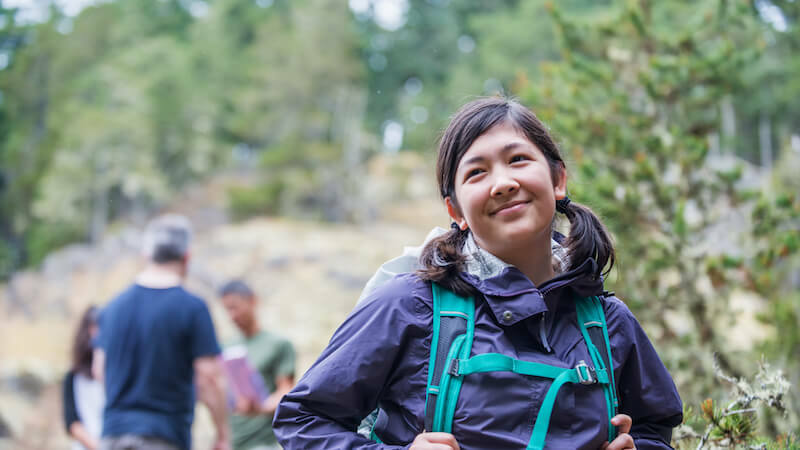 Note: Non-residents travelling to Canada, immigrants to Canada or foreign students studying in Canada may be eligible to purchase one of our Visitors to Canada Plans. Will my age affect my eligbility for travel insurance? Generally speaking, no. While your age can affect your eligibility for certain coverages, we have packages and plans that cover all age groups. If you are age 65 or older, we may ask you to answer a few questions about your health to make sure you have the most appropriate coverage. Can I buy travel insurance on my parent's behalf? Yes, you may purchase a policy for your parents. Simply call us at 1-866-896-8172, buy online, or visit an RBC Insurance Store. Depending on their age, they may be required to complete health questions in order to obtain coverage. If this is not a requirement, please keep in mind that all terms and conditions apply to your parents, therefore we recommend that you review the insurance with them prior to purchase. Will a pre-existing medical condition affect my travel insurance coverage? Possibly. Depending on your age, medical condition and, if applicable, your answers to our health questions, pre-existing medical conditions are covered if they are stable for a certain time period (as specified in your policy) before your policy's effective date. Note: Please refer to the policy document for complete coverage details regarding pre-existing conditions. 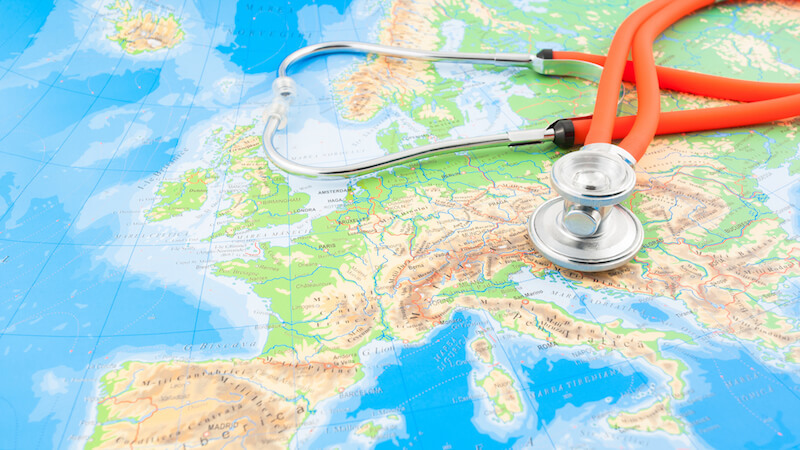 What do I need to know about completing the health questions for travel insurance coverage? Your answers to the health questions (if applicable) will be used to help determine the benefits you are eligible to receive under your insurance policy. Take your time. The questions may take up to 10 minutes to complete. Read and answer each question carefully and accurately. Review your answers to confirm they are correct. Incorrect answers may lead to your coverage being voided or your claim denied. Have your prescriptions or a description of your medications nearby for reference. If you are unsure about any questions regarding your medical condition or medications, please speak to your physician or call Assured Assistance Inc. (AAI). You can call AAI 24 hours a day, 7 days a week at: 1-800-387-2487 toll-free from the U.S. and Canada, or (905) 816-2561 collect from anywhere in the world. Can someone else complete the health questions for my travel insurance application? If necessary, a family member or close friend can complete the questions on your behalf. Please keep in mind, however, that it is still your responsibility to sign the form and make sure the answers are correct. My spouse is travelling with me. Do I need to buy travel insurance coverage for him or her? Yes, it is recommended that you buy coverage for your spouse as well. Do I need to buy separate travel insurance if one of my children is travelling with me? This answer depends largely on your child's age. If your child is under 2 years old and you are purchasing the Deluxe Package or a TravelCare® Package, then your child receives emergency medical coverage at no extra cost. If your child is 2 or older, you'll need to purchase emergency medical coverage for him or her. No matter how old your child is, if you've purchased an airline ticket or made a separate trip deposit for him or her, consider buying a travel insurance package or trip cancellation and interruption insurance. Which travel insurance package or plan is right for me? The right coverage for your trip depends on several factors, including (but not limited to) where you're travelling to, how long you’ll be gone, the kind of transportation you'll be using and, in some instances, your overall health. View all of our travel insurance products now. Why do I need travel medical insurance when travelling abroad? An accident, illness or medical emergency can happen anywhere, anytime. If you need medical care or treatment in another country, your government health plan may cover only a portion of the costs. Travel insurance starts where these plans leave off. Plus, with our emergency medical coverage, you have access to the multilingual representatives of Assured Assistance Inc. (AAI), the RBC Insurance travel emergency assistance network. Managing over 400,000 calls every year, our representatives are here for you 24/7 and are highly experienced in coordinating emergency care for travellers in foreign countries. Because our representatives are multilingual and have 24-hour access to real-time translation services, we can provide the help you need in your own language—and also have someone to communicate on your behalf with medical personnel who may speak a different language. Whenever possible, AAI will also request for the medical service provider within the network to bill the covered medical expenses directly to us instead of you—reducing your stress and hassle. Do I need travel medical insurance when I travel within Canada? Yes, if you are travelling outside your home province or territory. There are several reasons why it's important to get travel medical insurance when you're travelling within Canada. One reason is that accidents can happen anywhere. Another is that government health insurance plans do have limits on reimbursement of emergency medical expenses incurred while you are in another province. For example, the ambulance, emergency dental treatment and prescription drugs might not be covered by some government health insurance plans. You may extend your coverage if you extend your trip, subject to certain conditions of your policy. If you have not had a medical condition during your trip or while covered under your policy, you can request an extension by contacting us at 1-866-896-8172 before your original policy’s expiry date. If you have had a medical condition during your trip and while covered under your policy, you must request the extension by contacting Assured Assistance Inc. (the RBC Insurance travel emergency assistance network) before the expiry date of your original policy. Your extension is subject to the approval of Assured Assistance Inc.
You must pay the required additional premium before your original policy’s expiry date. If we are unable to extend your particular policy's coverage due to the trip duration limits of your policy, you may be able to purchase a new policy from us. Before your effective date, you may contact us at 1-866-896-8172 to purchase top-up coverage. After your effective date and if you have not had a medical condition during your trip, you must contact us at 1-866-896-8172 before your original policy’s expiry date to purchase top-up coverage. After your effective date and if you have had a medical condition during your trip, you must contact Assured Assistance Inc. (the RBC Insurance travel emergency assistance network) before your original policy’s expiry date to request approval for and to purchase top-up coverage. The terms, conditions and exclusions of the new top-up policy apply to you. You must pay the required top-up premium on or before the effective date of the top-up period. If you do NOT top-up your coverage for a trip, you will not be covered for any claims you make outside the period of insurance for that trip. If the top-up policy you are purchasing requires you to complete health questions, you must complete the health questions. Please see the policy documents for complete coverage details regarding trip extensions. Does my credit card provide travel insurance coverage when I'm travelling? It may, but not always. We recommend that you carefully review the travel insurance coverage provided by your credit card, as well as any special conditions or stipulations. Do you have an RBC Royal Bank® credit card? To review the travel insurance coverage that comes with your RBC Royal Bank credit card, visit: www.rbcroyalbank.com/cards/documentation/index.html and click the "Insurance Certificate" link for your card. Will my government health plan cover me for travel in the U.S. or Canada? Plus, government health insurance plans don't guarantee coverage for special care (air ambulance or emergency dental services, for instance). Government health insurance plans also don't provide coverage for situations such as lost, damaged or delayed baggage or trip cancellation and interruption. Our travel insurance can provide these coverages and more. I'm only going to the U.S. for a few days. Do I really need travel insurance? Yes, you do need travel insurance to protect yourself against the unexpected, even if you are going to the United States for a few days. An illness or accident can happen at any time, whether you're on the road for a few days, or a few months. And remember, the cost of health care is very expensive in the United States and very little of this cost would be covered by your government health insurance plan, credit card or company benefits plan. For a short trip, the cost of travel insurance is minimal, and it gives you the protection you need. Will travel insurance pay my expenses if I’m on a trip and I am called home for an emergency? If you purchase trip cancellation and interruption insurance, it will help pay for your expenses to return home in the event of a covered emergency. There are a number of circumstances that qualify as an emergency (for example, the death or serious illness of a family member). The cost of cancelling a trip prior to departure can be very expensive, as most trips are non-refundable, especially if you have to cancel just before leaving on your trip. Having to return early from a trip can also be very expensive. Either way, trip cancellation and interruption insurance is very important to protect your travel investment. How far in advance of my trip's departure date must I purchase travel insurance? You must purchase coverage before departing on your trip. You may benefit from purchasing coverage as soon as you make your initial trip deposit, especially if you are purchasing trip cancellation and interruption insurance—either as stand-alone coverage or as part of one of our insurance packages. If you were to book your trip 6 months in advance, consider the unexpected situations that could occur in that time. Will my travel insurance policy pay my emergency medical bills up-front? If you purchase travel insurance from RBC Insurance, we will pay the eligible bills directly to the hospital or physician whenever possible. Does my travel insurance cover me if I participate in any sports during my trip? There are a number of sports that are not covered during your trip. For more details, see the Exclusions section of the individual policy document. I bought a multi-trip annual plan, but one trip I'm planning will extend past the ending date of my coverage. How can I ensure I'm covered for the additional days I'm travelling? After your effective date and if you have had a medical condition during your trip, you must contact Assured Assistance Inc. (the RBC Insurance travel emergency assistance network) before your original policy’s expiry date to request approval for and purchase top-up coverage. Please see the policy document for complete coverage details regarding top-up coverage. Can I purchase emergency medical coverage for a single trip that is longer than 183 days? If you are travelling for more than 183 days, you may purchase single trip coverage for up to 365 days provided that you are covered under your government health plan for the full duration of your trip. 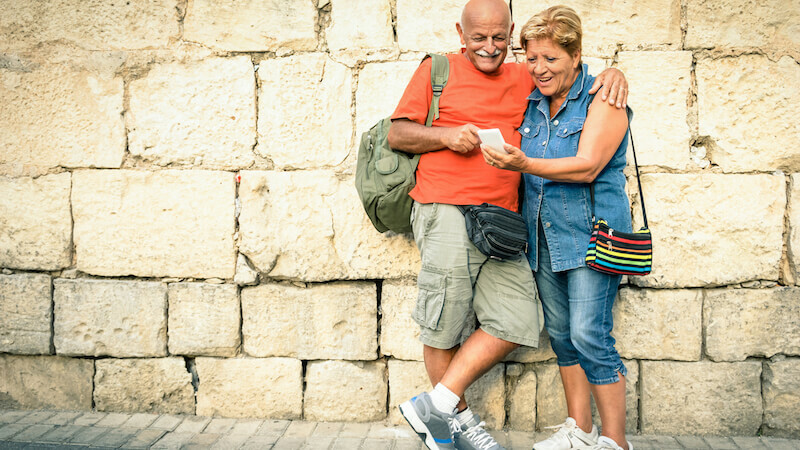 If you are 40-74 years of age, you must also answer a few health questions, which will determine whether you are eligible to purchase coverage for trips beyond 183 days. Does RBC Insurance offer family prices for travel insurance? Yes, if you are travelling with your spouse/partner and children or other family members, you could save money with our family plan pricing. Why should I buy trip cancellation and interruption insurance? The cost of a trip can be a significant financial investment. 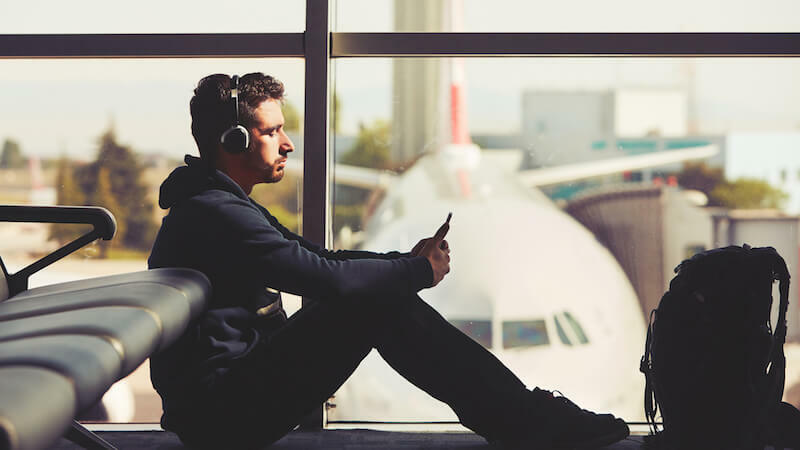 A lot can also happen in the time between booking your trip and departing—if a medical emergency or other unexpected event prevents you from going on your trip, you could potentially lose some (or possibly all) of the money you paid. Note: We strongly recommend that you purchase trip cancellation and interruption insurance at the time you pay your initial travel deposit. Please see the policy document for complete coverage details, including terms and conditions. I have friends or family visiting Canada. Is coverage available for them? Yes! Tell them about our Visitors to Canada Plans, which offer affordable emergency medical protection to visitors, immigrants, foreign students and Canadians without government health plan coverage. We strongly recommend you do. Your insurance policy is a valuable source of information and contains provisions that may limit or exclude coverage. Please read it before you go, keep it in a safe place and carry it with you when you travel. This insurance is subject to a maximum of $20,000 if you do not have valid government health insurance plan coverage in force for the full length of your trip. Please read the policy for all terms and conditions. "Bon Voyage, But... Essential Information for Canadian Travellers." http://travel.gc.ca. Government of Canada. Foreign Affairs, Trade and Development Canada. http://travel.gc.ca/travelling/publications/bon-voyage-but#before. March 2, 2015. Web. October 8, 2015.